I've seen a few of these posts in the past so of course I wanted to jump on the bandwagon and do my own. My hair changes like the weather, I get bored so easily and always want to do something new with it. So this is my hair 'history' from around 18 to now - that's a whole 5 years of hair. As you can see I don't deviate a lot from dark hair. In school I had blonde hair but I eventually decided I suited darker much more. 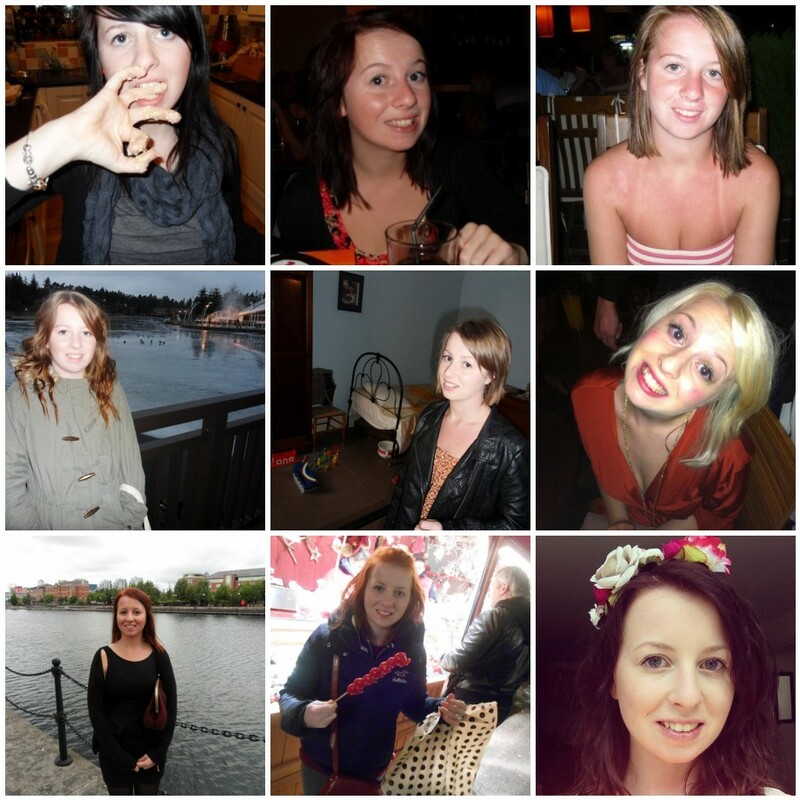 The middle photo is my natural hair colour, so as you can see I am pretty dark anyway. Before I got married I let all of my colour grow out and got my hair chopped so it was nice and healthy, then afterwards I bleached it.. I think it must have been post-wedding blues but I quickly changed it back to dark a few months later. As most of you know I'd been 'ginger' for some time - around a year, but recently I reverted back to my trusty dark locks. I think that's the way they'll stay, for now anyway. Hair looks absolutely gorgeous blonde! Love hair histories - you look so different as a blonde! I love how your hair looks with your floral crown. the colour is amazing!